Diplomatico has executed part one of a plan designed to get him to Group One racing and a career at stud with his win in the Brian Crowley Stakes at Randwick. 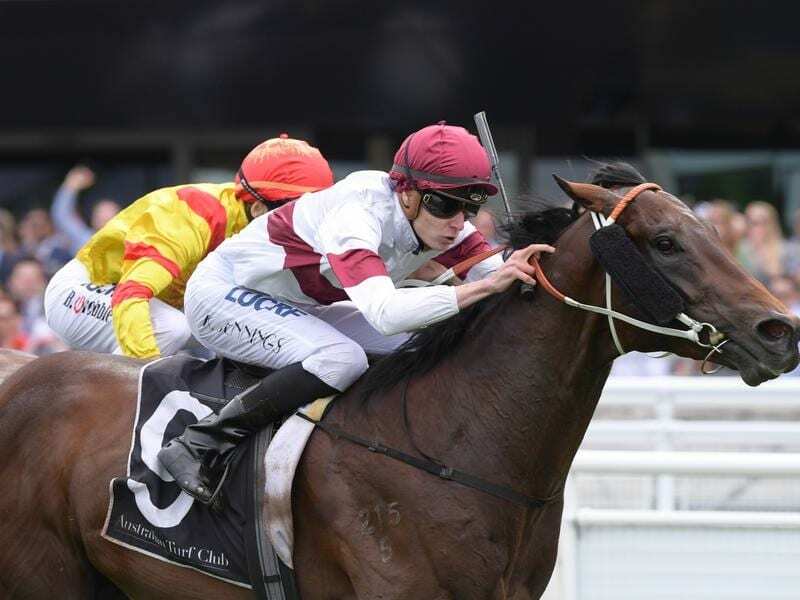 Having his third start in the 1200m-Listed race at Randwick on Saturday, the Hawkes Racing-trained colt came out of the pack to overhaul the leaders. The $2.40 equal favourite, Diplomatico went to the line three-quarters of a length in front of Legend Of Condor ($21) to give jockey Koby Jennings a rare city win and set up a tilt at the Coolmore Stud Stakes at Flemington. “As long as he pulls up all right we will look at the Coolmore,” co-trainer Michael Hawkes said. “It’s all up to him. “We are about making colts and hopefully we can make another. “It was good to see him handle the (soft) track conditions and Koby rode him perfectly. Jennings was a leading apprentice in Sydney a couple of seasons ago but since becoming a senior rider, he has plied his trade mostly at provincial meetings. But he didn’t hesitate when called on by the Hawkes camp to come to Randwick where he picked up one other ride. “The Hawkes team are my biggest supporters and I can’t thank them enough,” Jennings said. “There was plenty of merit to that win. The Coolmore Stud Stakes is run on the 1200m-straight course at Flemington on November 3.